The story of the Utah Parks Company is a tale we are excited to tell. The following information about the commissary, a critical part of the UPC's infrastructure, was compiled by our friend and scholar Janet Burton Seegmiller. Development of the Utah Parks Company by the Union Pacific was undoubtedly the largest and grandest gift of the 20th Century for the 3,000 residents of Cedar City in the mid-1920s. The UP announced in January 1925 that $1,375 000 had already been spent on the railroad spur, depot/ passenger station, El Escalante hotel and Bryce Canyon Lodge, and it would spend $450,000 before the tourist season opened in June on more buses and the Zion Lodge. One visual proof was the UPC complex growing at Main Street and 200 North. This headquarters and commissary was built in 1929. Union Pacific committed $200,000 for its construction which would provide office space the UPC general manager and his associates, as well as a warehouse with a refrigerator/chiller, a large freezer and an ice plant, plus other improvements around the depot and new buses and trucks. Bob Warren, whose father and mother worked there, lived in company house next door. Bob remembers . . . In 1950 I went to work as a warehouseman in the commissary in Cedar City. We put up the orders for all the cafeterias, and the lodges, and Cedar Breaks also. We shipped them out every day, but one day to Zion, the next day to Grand Canyon and so forth. We lived in the commissary house which was right next to the commissary. . . . My dad had an opportunity to take a raise in pay or to live in the commissary house, which was really handy for him. He took the house. We used to get our fish whole from Booth Fisheries and they’d come in big wooden crates or boxes packed in ice. I remember the halibut, and the salmon, and the barracuda. If you can imagine that we used to get barracuda. Then we would freeze all the fish as soon as it came in. They had a walk-in refrigerator/chiller and a freezer, a large freezer, and all the fish would be frozen. Then when we put up the orders for the parks, we didn’t have refrigeration in the trucks at that time, but we’d have a big bin in the front of the truck that we would load with big blocks of ice. Put 100 pounds of ice or more in these bins and that would keep the truck cool while they took all of the perishables out to the parks. In the basement of the commissary we had an ice plant. One of the things I really didn’t like to pull those great big blocks of ice. They were in big tubs to freeze . . . We would have to go down with a crane type apparatus, pull those out of the brine, and then hose them down with water until the ice would fall out of the tub. Then we’d refill it and, of course, we’d use that ice for the trucks going out to the parks. That’s how we transported everything. The mention of the young men who worked as warehousemen draws attention to a detailed history from one of them, Fred Steinfels who grew up in Cedar City. I started working at the UPC commissary in the summer of 1959. LaVand Bauer, the butcher, contacted me and asked me if I would like to come to work there as a butcher’s helper . . . Part of my duties included cutting prime rib roasts, boning, rolling, and tying lamb shoulder, grinding hamburger, and fill the orders we received from each of the park locations . .
Each morning the truck driver’s first stop was at the dairy located on Second West just east of the junior high school. All the milk and dairy products were loaded on the trucks there. Then he would proceed to the commissary warehouse where the warehousemen used handcarts to load all of the goods on the trucks . . . The delivery trucks were not refrigerated in those days. Each morning the warehousemen would have to use a hand crane to pull several one hundred pound metal ice containers from the brine freezing unit in the basement. These were transported up the elevator to the dock . . . where they were turned upside down and sprinkled with water until the huge blocks of ice slid out of the metal shells. Ice picks were then used to break the large blocks into manageable pieces that could be lifted into the ice bins on the trucks with tongs. . . . In March of each year, a train car filled to capacity with cases of canned goods would be spotted on a railroad siding on the south side of the headquarters building . . . Another rail car full of barrels of soap, cases of paper towels, toilet paper and all the other dry goods was on the east side . . . All of these goods were unloaded and stacked to the ceiling in a section of the warehouse. 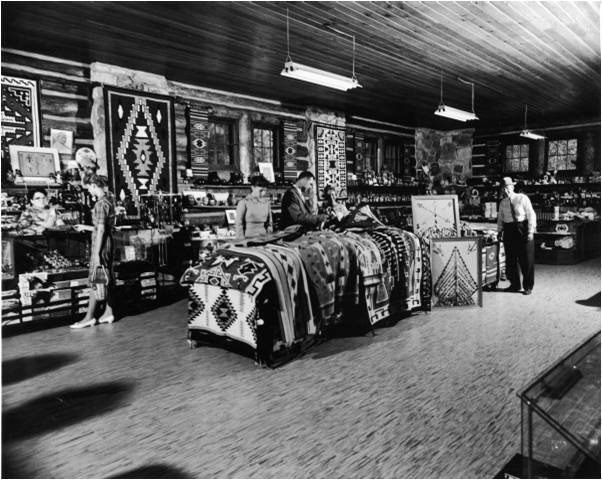 Later in the spring, just prior to the opening of the inns at Zion, Bryce, and Grand Canyon, truckloads of beef rounds, prime rib, lamb, frozen fish, bologna, salami, braunswager, cheese, and a multitude of other perishable goods would arrive and be stored in the coolers and the frozen foods locker on the main floor of the warehouse. . . .
[T]he beautiful Indian rugs that were displayed and sold at the park curio shops . . . required a great deal of care each fall. The rugs were spread out on pallets in a special area of the warehouse and each rug was sprinkled with a generous layer of moth crystals (paradichlorobenzine) to protect them from insects during the winter months. 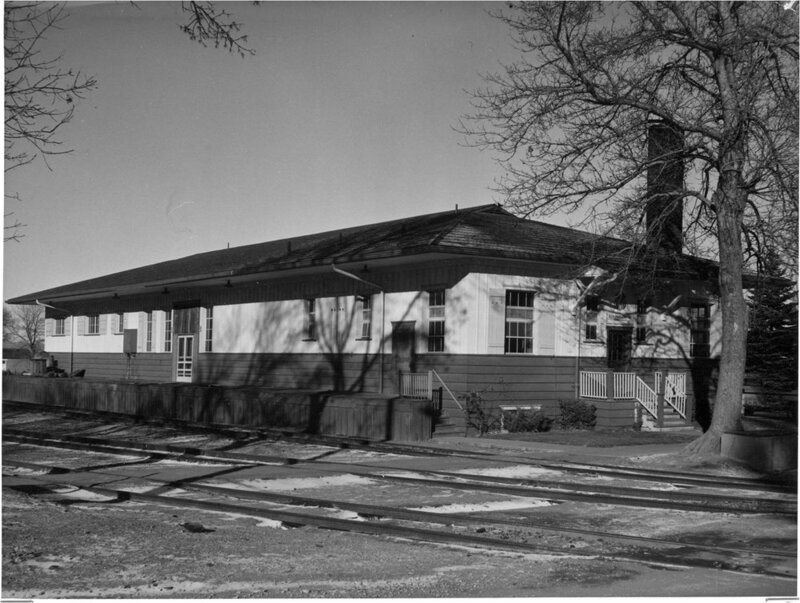 When the Union Pacific decided in 1972 that that year would be its last season of operation for the Utah Parks Company and that all the facilities and equipment in the national parks would be turned over to the United States, the company donated real property not located within the boundaries of the parks to the National Park Foundation. 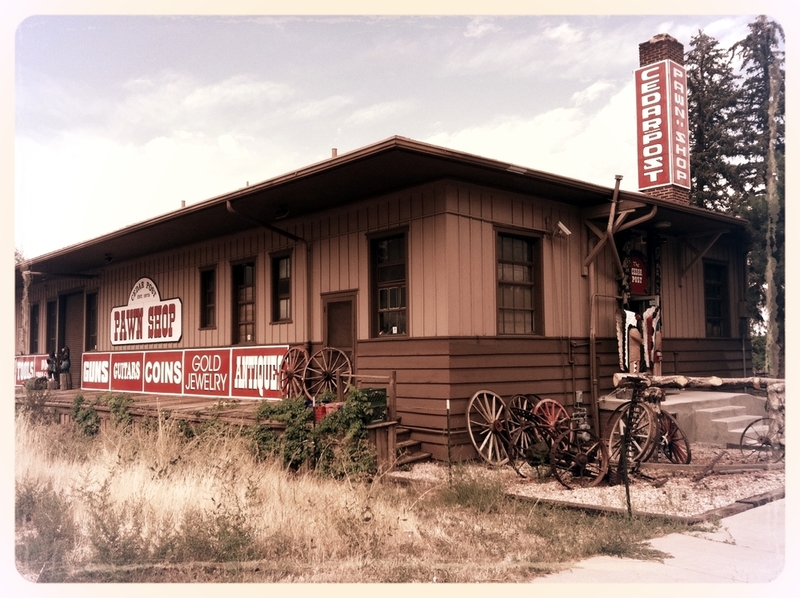 All of the Cedar City properties were eventually sold and the commissary building was sold in 1976 and is now the Cedar Post Pawn Shop, a building with a proud history in the community. The UPC commisary building today.